Last week at Mardi de Grand Case we presented about the amazing anoles of St. Martin. 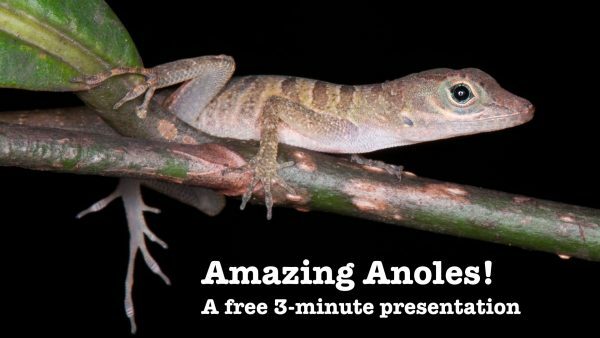 These lizards are some of our most distinctive residents, including one species that is found nowhere else in the world. If you missed it, you can view the presentation in iCloud and download a PDF with presenter’s notes.